1/2" Pex Crimp Ring Handi Pac is intended for water distribution systems. They come in a conveniently sized pack, are made of forged brass making it approximately 15% stronger than brass counterparts and are virtually free of imperfections. 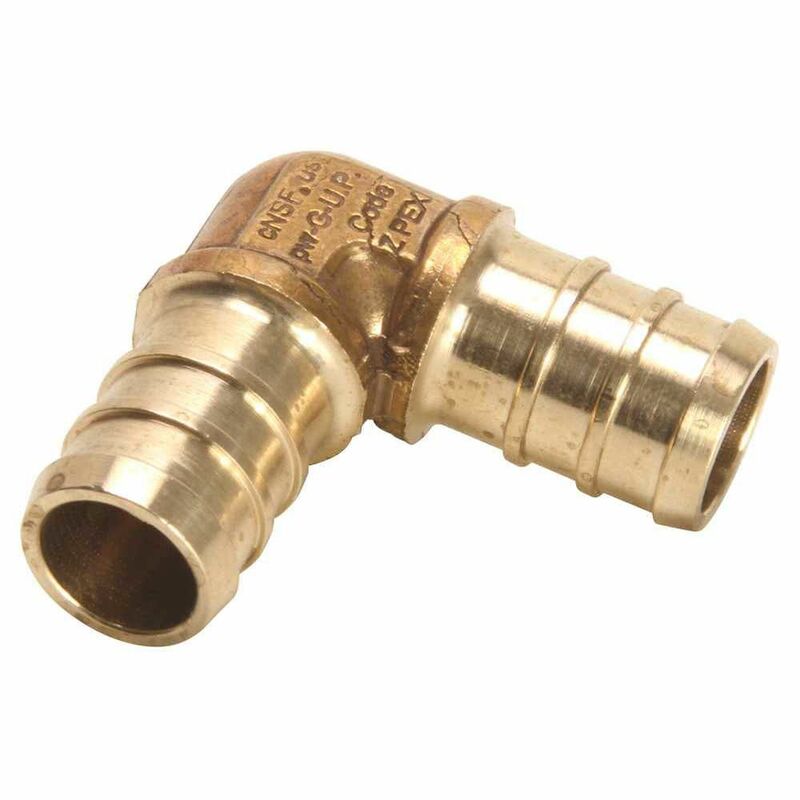 This plug is high quality as it is certified by the Canadian Standard for Pex Pipe and Fittings, as it has passed pressure testing at three temperatures. It has a maximum working pressure of 690kPa at 82C. Solution to single fixture water hammer noise. Suitable for dishwashers, washing machines, faucets, tubs/showers, toilets or any other water appliance. Push On Connection for Copper, Pex or CPVC pipe. Can be moved to any branch on the tee. The Shark Bite Washing Machine Outlet Box features an instant Push-to-Connect connection and can be used with copper, CPVC or PEX lines. Each fitting increases ease of use while decreasing the time and effort needed to connect water distribution pipe. There is no glue, soldering or crimping needed. Simply cut your pipe, deburr, mark the pipe approximately 1 in. (for proper insertion depth), install pipe to proper depth and you're done. The kit includes the Washing Machine Outlet Box, Hot & Cold 1/2 in. Shark Bite Push-to-Connect x 3/4 in. MHT Valves, Faceplate Cover, 2 Support Brackets. Perfect for use in your Laundry room to provide a clean installation and allow for easy shut-off to protect your home when away and washing machine is not in use to guard against accidental leaks. No matter what your project entails, you will have the benefit of a long-lasting, durable connection with this flare fitting. It is designed for higher pressure applications, and is commonly used for gasoline, grease, oil, water, vacuum and air lines, along with LP and natural gas. These fittings are manufactured to the highest standards, ensuring that as either a homeowners or contractor, you're making a superior choice for your project.